The R1200S saw the debut of BMW’s most powerful-ever boxer motor, with over 120 horsepower going to the back wheel. It was that rare breed, a sportbike with a shaft drive, and retained the classic Paralever single-sided swingarm. Not what you might consider to be ideal custom material: I think this is the first time a major custom workshop has taken a grinder to BMW’s sport-tourer. But against all odds, Cafe Racer Dreams have made it work. CRD has managed to retain the core capabilities of the R1200S while giving it a radically new look and even better handling dynamics thanks to adjustable Öhlins shocks front and rear. 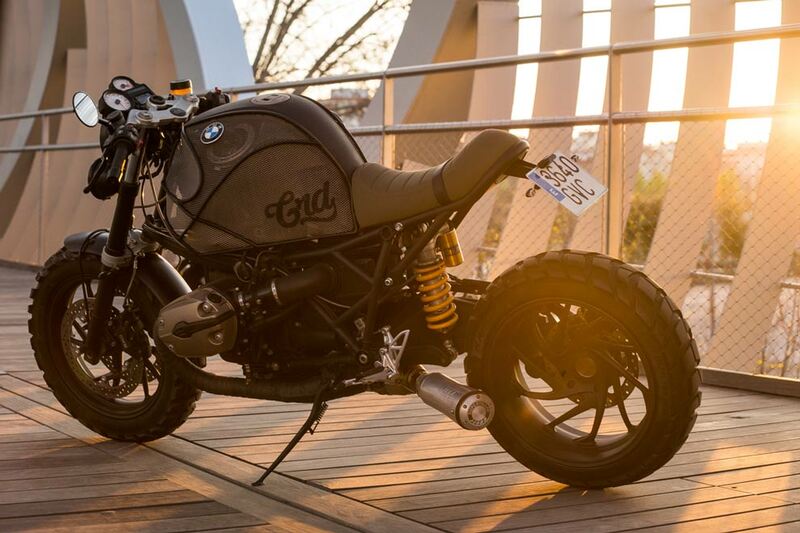 There’s a definite apocalyptic look to this R1200S, with two lights up front and a military-looking mesh covering the tank, hooked up to a painstakingly-welded exoskeleton. A layer of black paint now covers the boxer engine, and exhaust gases now exit via a SuperTrapp system terminating just to the left of the back wheel. The tires front and rear are Metzeler Karoos—a 70% street/30% dirt compound designed for big adventure bikes. The seat unit is especially neat, finished in an olive green fabric and flush-fitted with a new subframe that can be removed by undoing four screws. Micro taillights and indicators keep the back end looking clean. 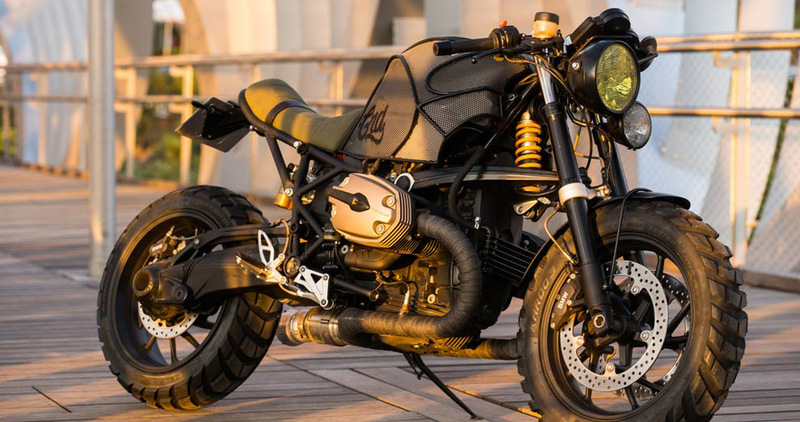 There’s an appealing brutality about this R1200S’s new look. It’s certainly not subtle, but sometimes, that’s no bad thing. 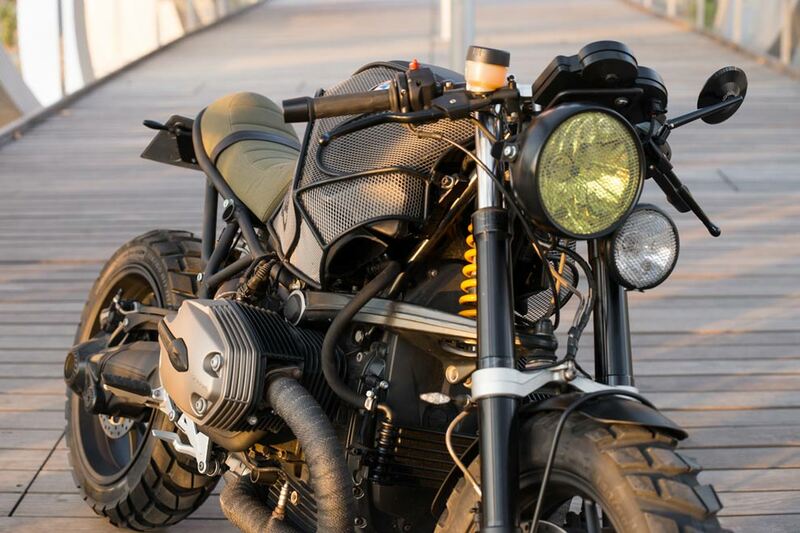 This link will take you to the article that the Bike Exif wrote about CRD48 Cafe Racer.